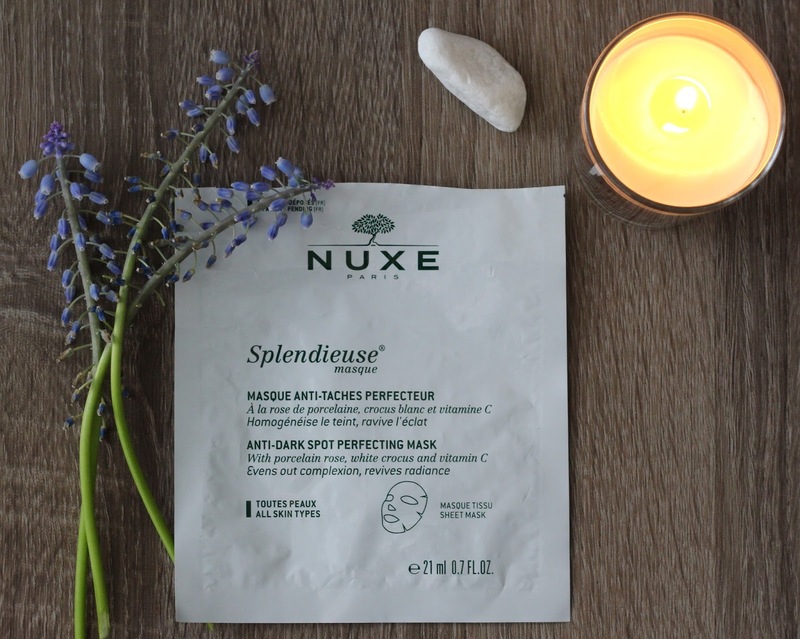 NUXE is the expert in floral cosmetics and once again I discovered a wonderful and innovative skin care product, NUXE Splendieuse masque, an anti -dark spot perfecting mask. .......... it will look scary :)) but it will feel really nice and relaxing! Fiber masks are my favorite because there is no rinse after the use,skin feels and looks amazing and I really think they are worth the money and the hype. NUXE Splendieuse masque has porcelain rose, white crocus and vitamin C to even out complexion and to revive the natural skin radiance.